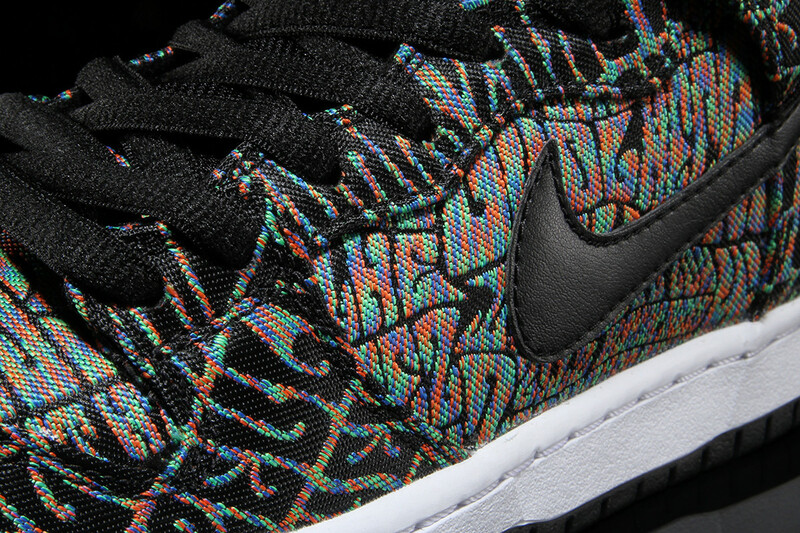 A groovy Nike SB Dunk High release. 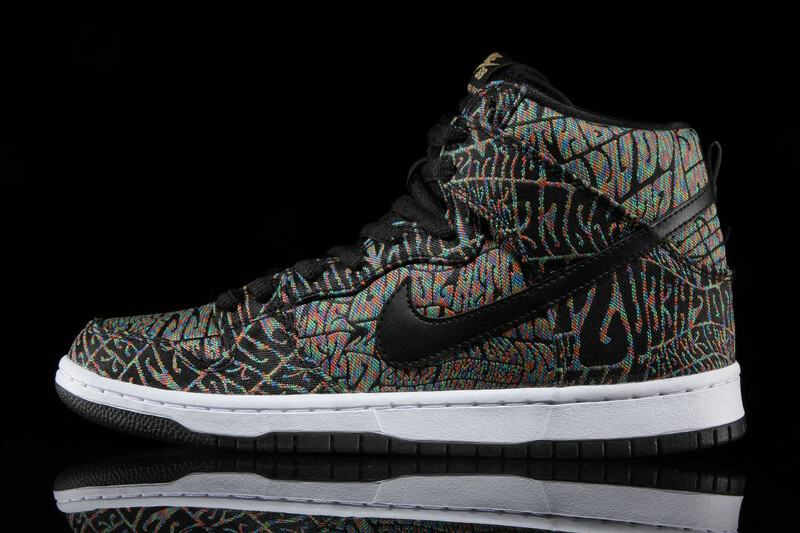 Nike's got a trippy new version of its SB Dunk High that appears to be paying tribute to the art of 1970s concert posters. 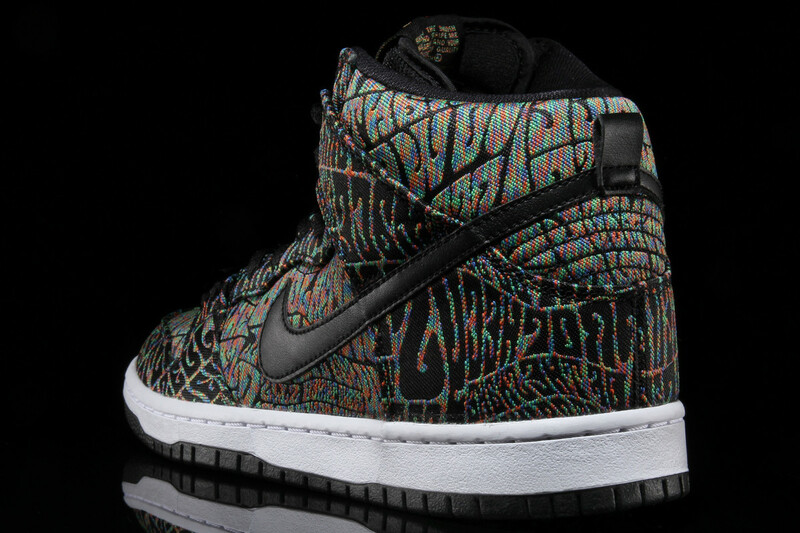 The shoes come covered in multicolor text evoking rock posters of yesteryear. 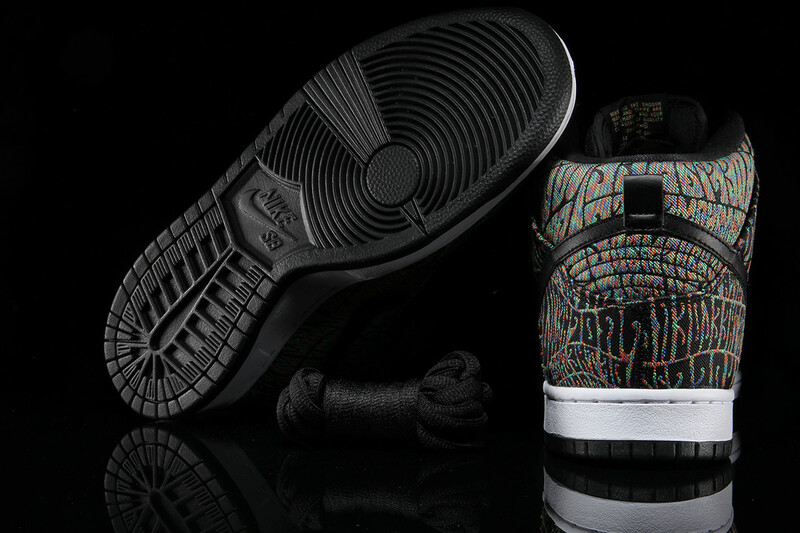 Unlike many Nike SB Dunks that aim to tell a story with their colors, this one doesn't feature a graphic insole treatment furthering the story–the standard Nike SB and Zoom branding appear there. 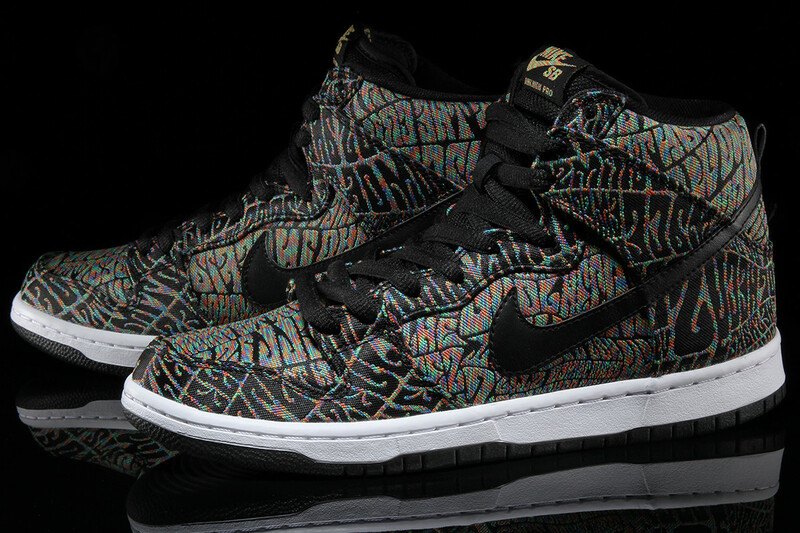 This Nike SB Dunk High offering is available now from Premier. 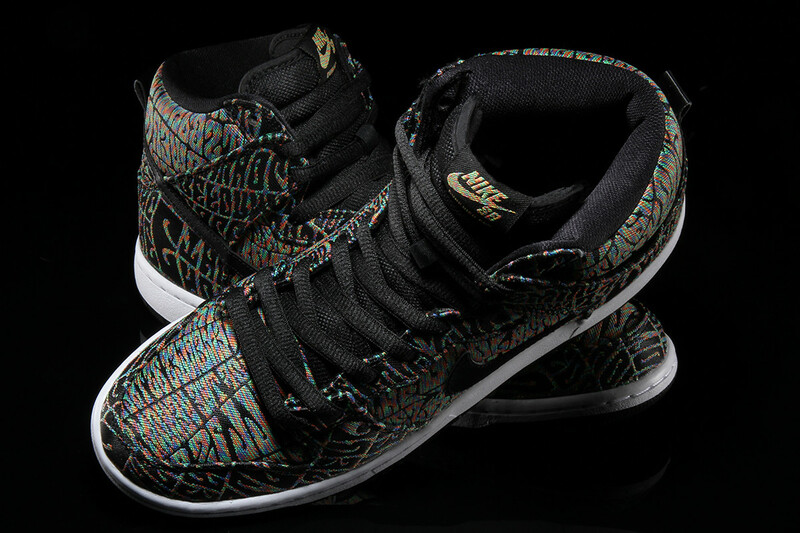 While there's no true predecessor to this style, Nike's done the psychedelic Dunk thing before on Huf's classic tie-dye Dunk High.